For those who live throughout the State of Washington, they understand that a locksmith has to be someone that they can trust when it comes to the security of their homes and businesses. They also know that a locksmith in Washington State, is someone that needs to be trusted to be there, when there needed, in an emergency, no matter what time of the day or night. Elite Locksmiths represents that dependable source of service that will be available 24/7 and will arrive in 20 minutes time, after the call is placed! In addition, we are Licensed, Bonded & Insured, here, in the State of Washington. We’re a family-owned business, who has served the greater Seattle/Kings County area for over 40 years. Our experienced locksmiths are known for their exceptional workmanship and excellent customer service. Also, they can provide a wide range of locksmith services that cover every aspect of locksmithing. 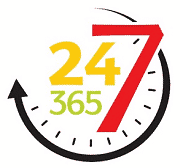 Your Washington State Locksmith – We’re Here 24/7! Some of the many service options that you can expect, from our locksmiths in Washington State, include; Keyless Entry, “Panic Bars”, Emergency Exits, Vehicle Locks (all types), Biometric Locking Devices, Electronic and Mechanical Security Systems, Home and Office Security, Controlled Access Systems, Key Cutting, Lock Repair, as well as all types of Home/Office Emergency Lockout situations. We also provide Free Estimates as well as fair and competitive pricing. If you’ve ever considered a lock security upgrade –give us a call! We’ll do our best to work within your budget, while providing you advanced locking designs. So, when you want to contact the absolute best, reliable and most established locksmith in Washington State, just give us a call. Also, don’t forget to place our phone number on your cell phone, in case you run into any type of emergency lockout situation!